It's an Amazing Race - Sooner State Softball Style! Join us for something fun, different, and exciting on Sunday, Nov. 11th as we host an OKC-wide race to the finish line. Follow clues to complete activites and challenges around the metro area to win cash and prizes! $25/person in teams of 2. Proceeds go to the Sooner State Softball Association for our 2019 season! 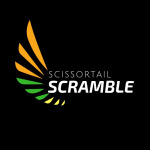 Check out this Non Sport event 'Scissortail Scramble' with Sooner State Softball Association!